So little miss pink wellies has had some success in her modest little patio garden. 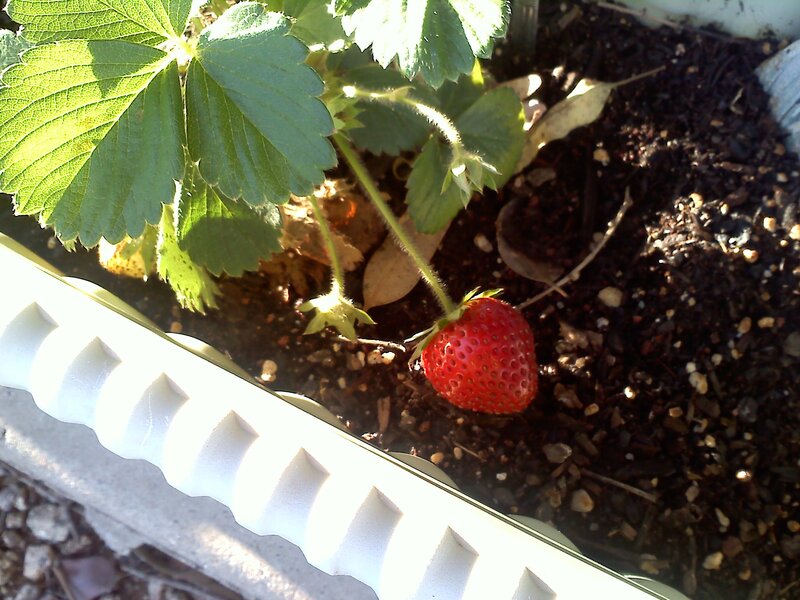 This week alone, I had my first strawberry ripen (it taste so damn good!) 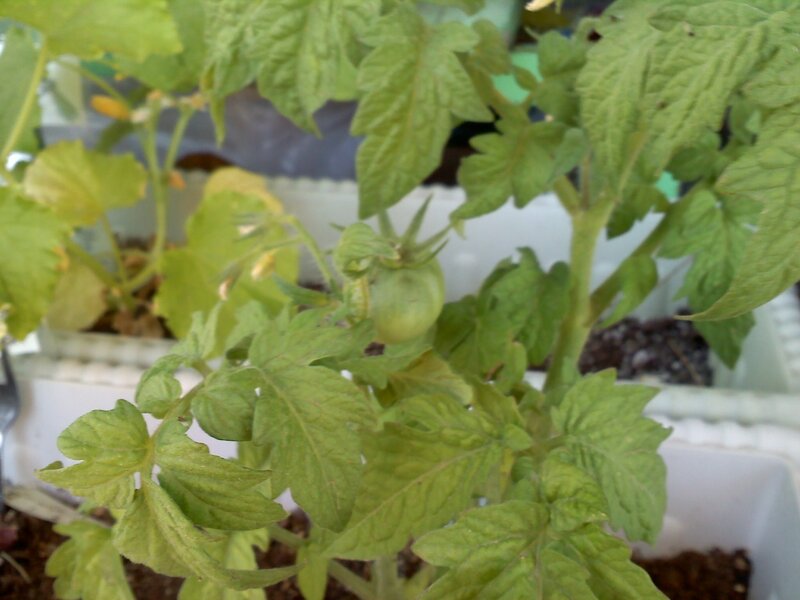 and two tomatoes are getting ready to ripen! Go me! Strawberry, get in my belly! I swear there is a mater in there! Today, I am getting to a scrapbooking event to work on my calendar for 2012. I found a site through one of the blogs I read and purchased some sticker tabs I am tweaking my layout so I have a more space to write. Found a really cool looking blank journal at Ross for about five bucks! I will post some pics to show the progress. Next weekend is Memorial weekend and I think I am going to use that weekend to work on somethings in the apartment. I am halfway through the year for re-organizing and I am getting tired of the layout of my bedroom. I would like to set up an area where I can sit and do my makeup and hair. Change the layout a bit. I was going to go to visit my family but I am going to see them for 4th of July instead. I have some exciting ideas for my blog that I have brewing in my head. I am setting myself a goal to post more often but allow for life to happen also. In the meantime, I will watch my garden grow!